David Beckham Classic Blue is an inspiring fragrance designed for a modern man. Classic ingredients blend with modern elements to create a harmonious composition. The fragrance suits every confident man with refined taste. The combination of woody tones complemented by a hint of tropical fruit is a great choice for daily wear but it can be worn also to a party or a romantic dinner for two. Refreshing fruity tones give you a shot of energy and stimulate not only your body but also the mind. The bitterness of grapefruit mingles with fresh pineapple. Violet petals go hand in hand with sage, apple and geranium. Warm cashmere wood and patchouli along with oak moss introduce distinctive tones, giving the fragrance an elegant touch. Classic Blue will make you feel comfortable, confident and attractive. Wrap yourself in the scent and charm any woman! Pineapple, Violet, Grapefruit , Apple, Moss, Patchouli Done! For shipping to other EU countries visit this page DAVID BECKHAM Classic Blue EdT 90 ml. Für Versand nach Deutschland, besuchen Sie bitte DAVID BECKHAM Classic Blue EdT 90 ml. Chcete doručit zboží do Česka? Prohlédněte si DAVID BECKHAM Classic Blue EdT 90 ml. Chcete doručiť tovar na Slovensko? Prezrite si DAVID BECKHAM Classic Blue EdT 90 ml. Für Versand nach Österreich, besuchen Sie bitte DAVID BECKHAM Classic Blue EdT 90 ml. 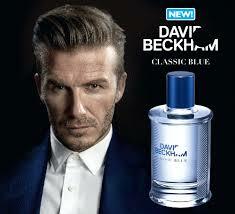 Magyarországra történő kiszállításért tekintse meg ezt a termékoldalt: DAVID BECKHAM Classic Blue EdT 90 ml.